Woodstove Cookery – At home on the range, by Jane Cooper, is a great introduction to wood stoves and although it was published in 1977, the fundamentals remain the same. It acknowledges the huge range of wood stoves and wood stove cooking methods out there, saying each cook develops their own unique techniques, but that this book can be used as a great guide. It teaches you how to run your stove before you cook in it, with useful chapters such as ‘setting up’, ‘getting the fire going’ and ‘care and cleaning’. 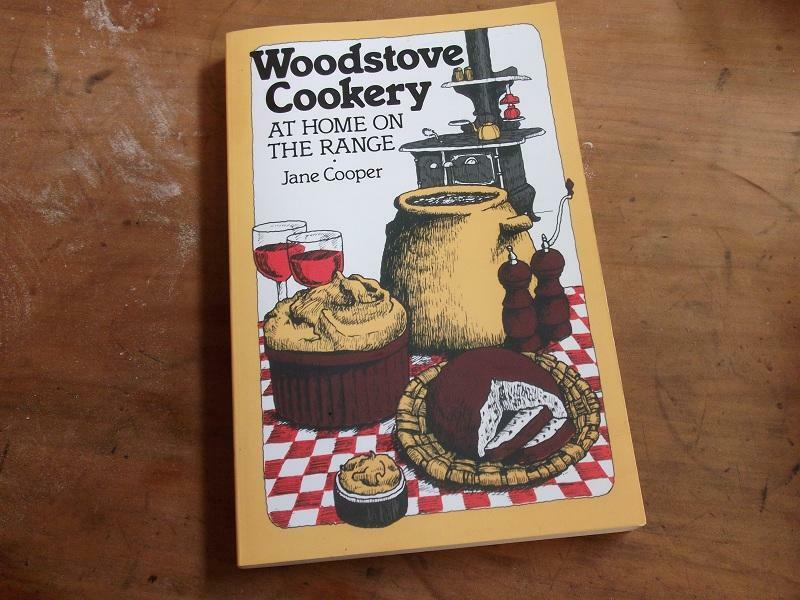 It then moves on to a great range of recipes to give you courage when cooking with your wood stove, so that you are then able to adapt anything cooked on a “turn-on” stove to your wood stove with confidence! It includes such chapters as ‘Breakfasts’, ‘Soups and Stews’, ‘Mains’, ‘Breads’, Desserts’, ‘Preserves’, ‘Drying’ …and the list goes on! I really like some of the old quotes mixed in from times gone by (see below) and the old classic recipes (still with ingredients readily-available today).